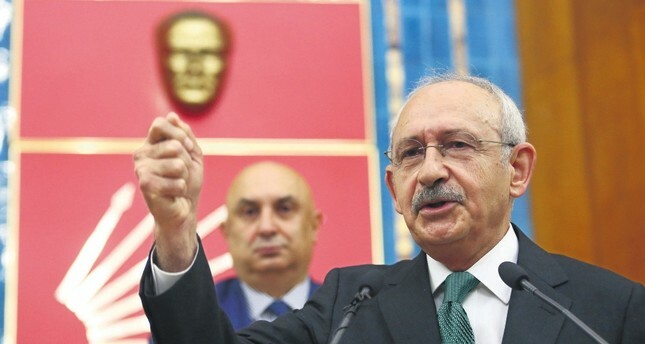 The main opposition Republican People's Party (CHP) Chairman Kemal Kılıçdaroğlu is still searching for a candidate that will be palatable to all sides for the snap election. Former President Abdullah Gül's decision to withdraw his name as a possible joint opposition candidate was based on the failure by the opposition parties to create a broad consensus. It also concluded the opposition's efforts to find a joint candidate. While Gül's open declaration of his desire to run against President Recep Tayyip Erdoğan - but not doing so eventually - demonstrated how distant he has become from the ruling Justice and Development Party (AK Party) mentality. As a consequence, the opposition will now have to pick their own candidates. The Good Party (İP) has already done so, its chairwoman Meral Akşener, and the Republican People's Party (CHP), the Peoples' Democratic Party (HDP) and the Felicity Party (SP) will do so in the coming days. However, the opposition's desire to seek some sort of collaboration in the parliamentary elections has not ended. Meanwhile, CHP Chairman Kemal Kılıçdaroğlu is still thought of as a candidate who will be palatable to all sides. Kılıçdaroğlu does not want his candidate to be antagonistic. He is determined to wage all the political battles himself. It appears Muharrem İnce is not the candidate that will set the CHP grassroots ablaze, which leaves someone like İlhan Kesici, who Kılıçdaroğlu sees as being acceptable to all sides. Setting the grassroots ablaze with enthusiasm will be left to the chairman himself. He legitimizes his failure to run as president and instead of picking someone else by arguing that the leader of a political movement should not seek to become the president because the head of state has to be accepted as "my president" by each and every citizen of the 80-million-strong Turkey. A more realistic perspective would be to see his actions as a desire to lead his party and remain a parliamentarian, rather than risking it all for what he knows to be a futile adventure. Still, whatever he does carries certain risks. He will not escape from these elections scot-free. If he runs for the presidency, he will most definitely lose. It will also prevent him from running for Parliament, which would force him to quit as party chairman. If he doesn't run, many within and outside his party will blame him for allowing Erdoğan to win the top post in the country without a fight. So, what is his plan? His main objective is to ensure the opposition wins a parliamentary majority, tying re-elected President Erdoğan's hands and at the same time proving his argument that the new executive presidency doesn't work. He believes he can secure this by putting forward an amicable candidate while taking on Erdoğan very aggressively during the campaign. He wants to create the duality of an angry Erdoğan vs. a calm candidate with a knowledge of economics. This way, he will use Erdoğan's energy against Erdoğan himself. He also wants to secure a return to the parliamentary system with this "calm" candidate and a parliamentary majority. This is behind yesterday's decision to form an election coalition with the İP, SP and the Democrat Party (DP). However, Kılıçdaroğlu's dreams are like nothing but swimming against the stream. He ignores the fact that Turkey's system of government has been transforming into a presidential system since 2007. The first step was the decision to directly elect the president. The second was president's direct elections in 2014. The last step was the approval of the presidential system in the referendum on April 16, 2017. All this was made possible thanks to a trusted leader like Erdoğan. Nominating a candidate just to revert the system back to the start is nothing but an admission of political weakness. Because you are confronted with Erdoğan who has already persuaded his nation to accept the presidential system. He will ask his electorate's support to implement what they have already accepted. The people have voted for a change and this time around, he is asking for their support to implement the necessary infrastructure and institutionalize stability. The opposition, on the other hand, will ask the electorate to turn back the clock and give up its right to directly elect the president. At this day and age, a parliamentary system means uncertainty and chaos. Still, the ruling AK Party needs to be careful. A parliamentary majority is a must to implement the necessary transformation to a full-fledged presidential system of government. A fully functioning system will eliminate many future problems. This is exactly why electing Erdoğan as an executive president is not enough. The party also needs to do its utmost to ensure it has a majority in Parliament. After the announcements of candidates, the real election campaign will be waged for Parliament.